The Porsche Panamera 4 E-Hybrid mixes luxury, aggression, and responsibility together like never before. It’s a gorgeous, low-slung car made for ripping down the highway in front of perfect sunsets. Its raw power is met by a smoothness in controlling it that’s rare. With a roomy and deeply comfortable interior, it feels like a guilty pleasure. Yet as a hybrid, it’s also an aware and responsible choice. It’s a blend of many worlds, come together in a car that turns heads. Porsche 0-60 mph times for the Panamera 4 E-Hybrid are a stunning 4.2 seconds. That makes it one of the fastest Panameras ever. It combines a twin-turbocharged V-6 at 330 hp with an AC electric motor at 136 hp. This result is a monster 462 hp developing 516 lb-ft of torque. Battery capacity on this beast is also increased by 50 percent over the previous rear-wheel driven S E-Hybrid. This is made more impressive by the Panamera 4 E-Hybrid 4-wheel drive. There’s a focus here of making the transitions between powertrains seamless. 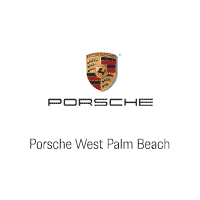 Porsche is famous for how well their transmissions are developed and mapped to each car. Few makers are able to come close when it comes to seamless up- or down-shifting at speed. In the past, hybrids haven’t always transitioned so seamlessly, but the 4 E-Hybrid makes them all but invisible. 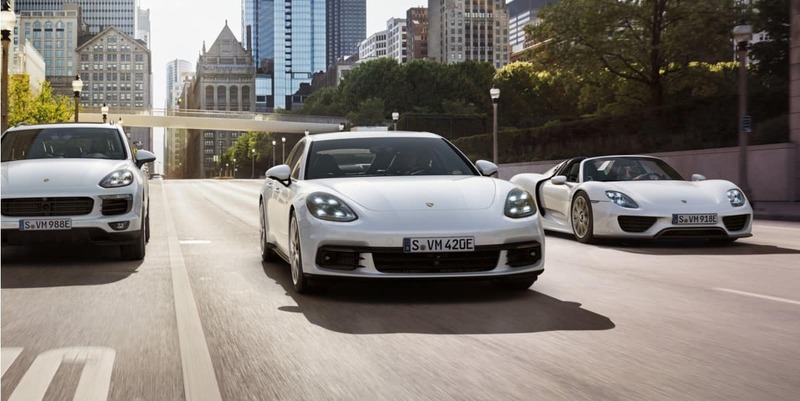 Porsches are made to turn heads, and the Panamera 4 E-Hybrid doesn’t slack here. It’s pronounced nose and low silhouette accentuate the wheelbase. It looks sultry, drawing the eye away from everything else on any road. It also has a stately interior. The touchscreens are high-res and large, the color choices bold, the glossy center console built around ease-of-use, the menus effectively delivering information to the driver without distraction. This hybrid has some of the fastest Porsche 0-60 mph times for any Panamera. It combines a powerful kick with transitions and ride that are buttery smooth. The come hither exterior has a unique appeal that stands out anywhere, while the interior abounds in comfort and technology. This is the Porsche that combines futuristic technology underneath the hood and inside the cabin, all while retaining the look and tradition that makes Porsches so desirable in the first place.